Humana and Jaume Casademont Foundation have reached an agreement through which the organization works with the Grants 2013 'Educating Eating' (Educational experiences in the world of food). These scholarships are for food education projects aimed at boys and girls aged 0-16 years, its goal is to promote healthy eating and food as a cultural manifestation. Grants distinguish innovative projects that apply in a fun and educational development, capable of transmitting a commitment to food that is also a means of understanding and cultural exchange. 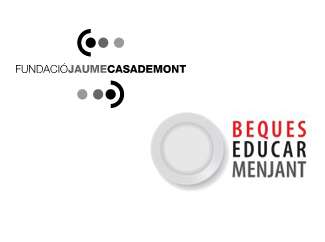 Projects can be submitted until next April 15, through www.fundaciojaumecasademont.cat. Jaume Casademont Foundation, created in 2001, aims to promote fundamental cultural activity. Humana, while continuing with the development of cooperation programs in Africa, Latin America and Asia, performed such initiatives as vital complements its draft environmental protection and social assistance, linked to the textile collection. In this case, also education for a responsible and sustainable food is very important, both in the North and in the South.